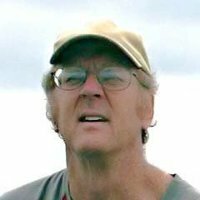 Ed Komarek is one of the most prolific authors on the topic of Exopolitics, and publishes articles (blogs) on a regular basis. Ed was one of the first people ever to organise manifestations to demand disclosure, and as such could be called the first disclosure activist. Back in the 1990s, Ed was one of the main sponsors or "Operation Right To Know " : Operation Right to Know (ORTK) was active from 1992-1995 in organizing demonstrations for the right of the general public to learn the truth about UFOs and for full public disclosure to occur. Sponsored by Ed Komarek and Mike Jamieson, ORTK organized the first UFO protest in Washington D.C. in June 1992.19 ORTK 'shocked' the traditional UFO community by employing political activism rather than the more traditional scientific study of the UFO phenomenon. It organized 10 demonstrations in the U.S. and Britain beforedisbanding in 1995. ORTK was a significant expression of political activism aimed against the political cover-up the UFO phenomenon.20 It has laid the foundation for subsequent efforts to mobilize broad mass based action for ending the "Cosmic Watergate". In 2012, Ed collected several of his blog articles and bundled them in a book, UFOs, Exopolitics, and the New World Disorder. The book can be read online at http://authors.exopaedia.org/edkomarek. In September 2013, Ed tried to set up a worldwide network of Extraterrestrial Cultural Centers, but that project crumbled. Ed's blog can be found at http://exopolitics.blogspot.com.